A snapshot from Michael Mojo Nilsson´s exclusive appearance at Musik & Skit a couple of hours ago (see last post). 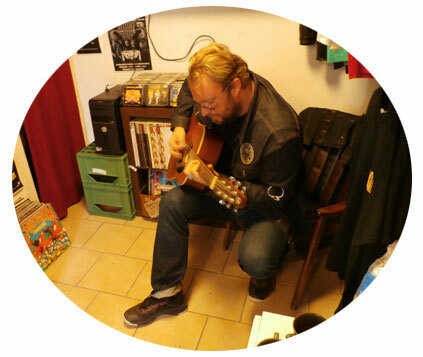 Mojo signed 50 copies of RETROFUTURE 7 and played a few songs with his acoustic guitar. A wonderful hour for the people that braved the rain.